After a long day working on our experiments yesterday, we slept like babies. 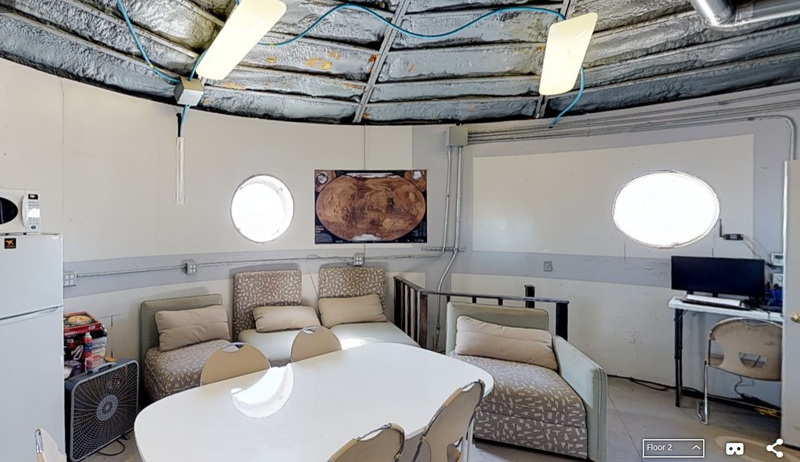 Our nights at the MDRS have generally been quite good, despite the thin mattresses and the out of control heating cycles, which have been pumping hot air into some rooms while others have been left to freeze. Well rested, we woke up in music again (Kanye West’s Mercy this time) and headed downstairs for a work out, this time lead by our biologist Mario who made sure no one missed a single push-up. 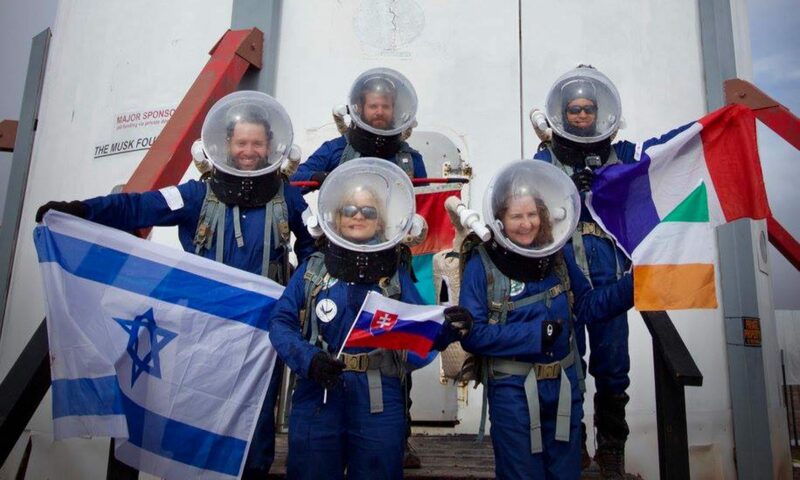 Immediately after, four members of our crew embarked on a EVA which took them to the northernmost part of the territory. In this zone, called The Moon, a wide variety of landscapes succeed each other rapidly, going from red striped hills to riverbeds and from sweeping white dunes to areas of sprawling Martian vegetation in just hundreds of meters, which makes for an extremely beautiful (and photogenic) ride. We therefore used this EVA to take more pictures, as well as to collect some samples of these varied soils for Max’s soil testing experiments. At noon, we had one of the very earth-like, and therefore very delicious meals that Ariane has gotten us accustomed to. This time it was ‘hachis parmentier’, a specialty made with tomatoes, beef, potato mash and grated cheese, cooked in the oven until golden. All of this, of course, was made from freeze-dried foods, but Ariane’s magic touch made it feel right like home. The rest of the afternoon was dedicated, as usual, to working on our experiments. Mario, with the much welcome help of Max, finished his first hydroponics tower in the greenhab, and planted mint and coriander in it. Sophie managed to find the source of parasites in her muon detector, while Martin dosed the API (active pharmaceutical ingredient) in a drug. On his side, Bastien made a 3D model of the Musk Observatory before embarking on the task of modelising the whole station. 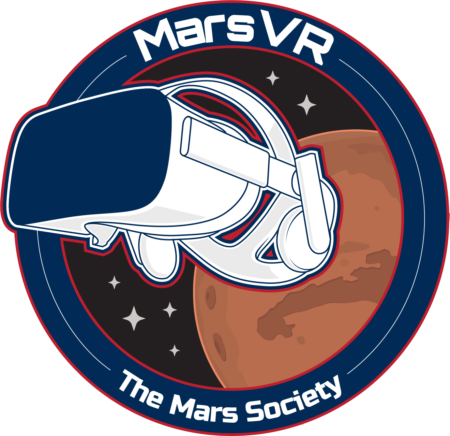 By now, the crew has grown quite accustomed to the daily routine of the MDRS, and things are starting to work smoothly. Despite our confined environment, the mood is still great, and we are organising small events in the evenings, like a karaoke night, game nights, as well as round tables to talk about our experiments and our vision for the project.